insert Adsense into WordPress post, put Adsense in WordPress without a plugin. As a widget in the sidebar. two search engines as widgets. Not able to place above Post title and Below navigation. Google automatically Add ads to in the page and creates Separate ads for blog. We can place 3+ Ads using this Plugin. Adsense income you need to increase your website traffic. TIP: Don’t forget to place two Ads above the fold. below navigation and below post title. for Some themes like genesis Newspaper theme Avada not works. please check WP themes TOP 10. With This plugin you can Insert Ads on Posts/ page. https://wordpress.org/plugins/quick-adsense-reloaded/ not tested yet. but may use ful update 1 week ago with 30K active installs. 1.For Genesis Theme we can use genesis Simple hooks. 3. We can use, Google Adsense official Plugin to insert ads manually. Insert Sidebar Adsense Ads manually by Adding Text/HTML widget. but in genesis not able to add after 1st paragrpah you can use gensis simple hooks without any plugin. How to fight with Adblock Adsense Publishers? I’ve seen labnol.org ad alignment o his website. 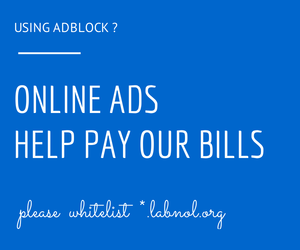 Also, they had the feature that If Adblock blocks Adsense ad units on their website an image appears with ads helps to pay our bills Please whitelist our website. I had checked the page source code I found the script code after footer so we need to add after an end of the footer.php in WordPress. Note: there are a number of Adblock detecting Adsense Plugins available in WordPress directory. please choose one and increase your earnings. NOTE: THIS PAGE UPDATES REGULAR BOOKMARK THIS BY CTRL+D.